Let me just start out by saying that my husband and I are both Terry Pratchett fans. I know that his books are not everyone’s cup of tea. It really takes a certain type of person to appreciate his books. You have to appreciate English humor, especially its subtlety. You should be a fan of fantasy literature, and it helps if you’re a bit of a geek. If you fit those requirements, I highly recommend his writing to you. 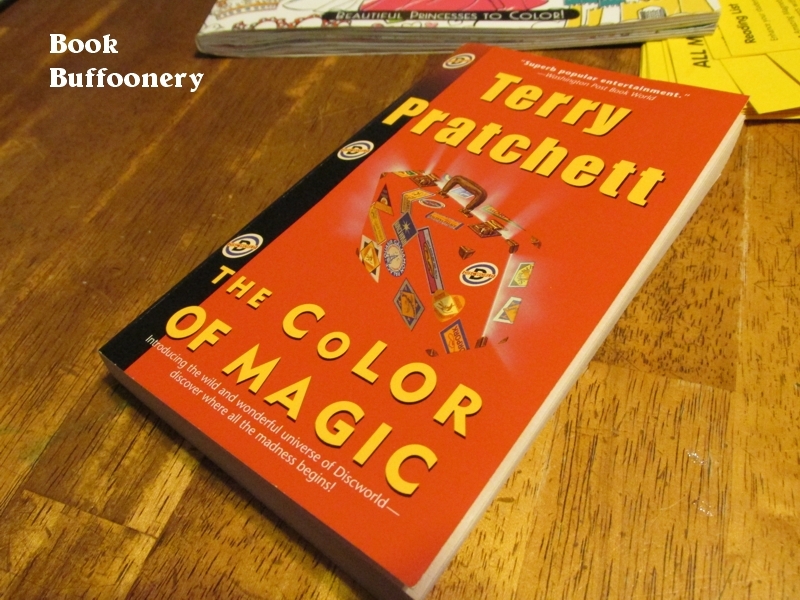 The Color of Magic is the first in the Discworld series of books about a fantasy land and a wide cast of unique inhabitants. This land isn’t really restricted by things like gravity, probability, absolutes of time and space, etc. It’s a fantasy world that does not take itself seriously and which can change in the blink of an eye. 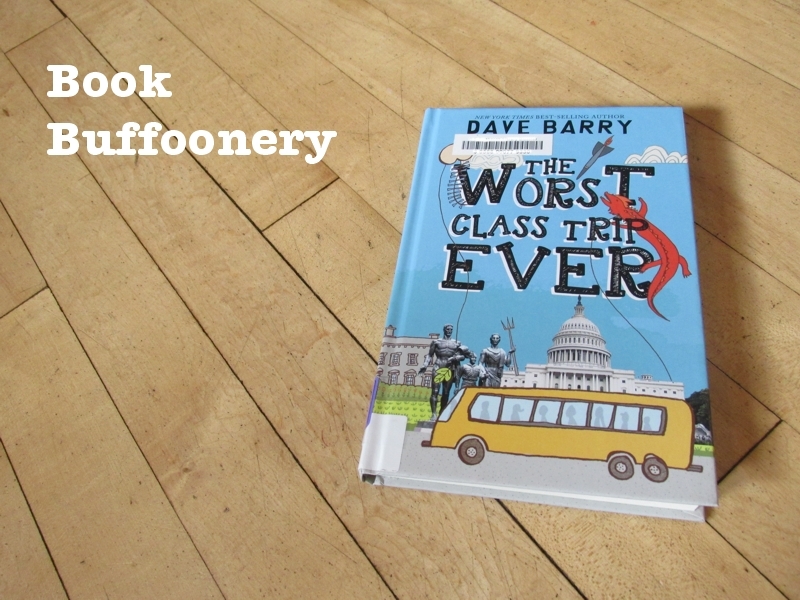 Since this is the first book in the series, you should expect it to be less polished than later books. While I did enjoy it immensely, I can see how the story doesn’t flow quite as smoothly as others that I’ve read. The plot seems somewhat disjointed and the sheer number of characters and places introduced can be bewildering, as well. If you’re a Pratchett fan, read the book anyway. If you want to be a Pratchett fan–read it. If you want to follow the advice of a total stranger–read it. Lots of violence–it’s how many issues are solved. There are plenty of allusions to things of a sexual nature. One kingdom is full of barely clothed people.